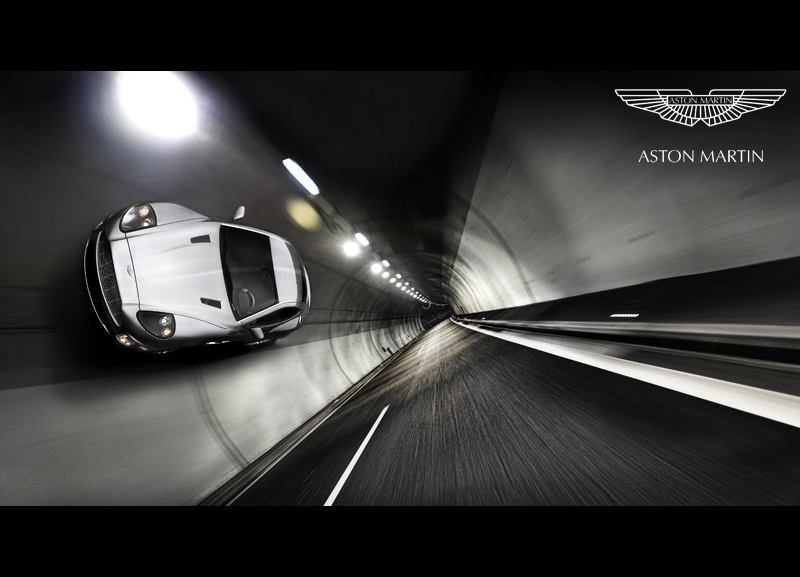 This week commercial car photographer Tim Wallace has been completing some further advertising work for our Aston client as well as taking the opportunity whilst out in Switzerland shooting to create some 'Vanquish' based work for the up coming Aston Martin Legends book that Tim is currently involved in. 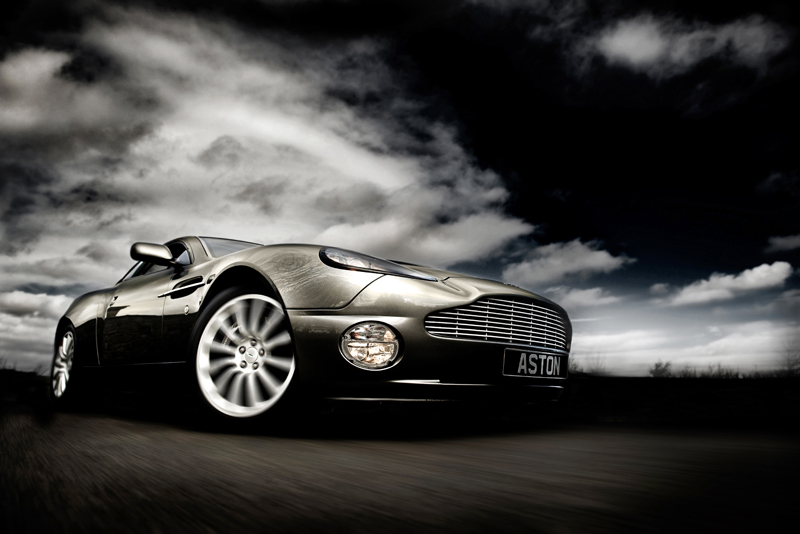 V12 Vanquish featured a body tub made from extruded aluminium and Carbon Fibre with extensive use of more Carbon Fibre and composite materials throughout the crash structure of the car. This extremely rigid and safe body-shell was then clothed in hand-finished, Superformed aluminium panels. Underneath the handmade bonnet sat a 460bhp version of the Aston Martin V12 engine, delivering its power via a 6-speed manual gearbox controlled by an electro-hydraulic paddle shift gear change.The V12 Vanquish became famous when it was the latest Aston Martin to be driven by James Bond. This special car was painted in Tungsten Silver and was fitted with a number of non-standard options including rockets, guns, ejector seat, and an invisible ‘cloaking device’ – all provided courtesy of ‘Q-branch’ of course. 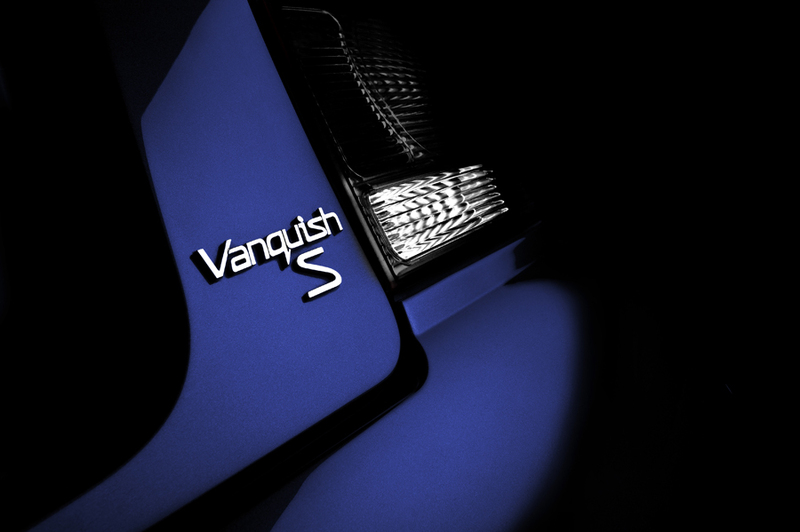 Hand-built at the famous Newport Pagnell factory, just 1489 examples of the 460bhp Vanquish were constructed before being replaced by the more powerful V12 Vanquish S in 2005.